Hybrid environments (cloud + on-premises) will be a reality for decades to come. Tools which manage environments that mix together legacy infrastructure (e.g. data centers, licensed applications) with cloud infrastructure are discussed. This is Part 2 of our article series based on the MIT panel on cloud computing. Part 1 can be viewed here. With the emergence of cloud computing, some people are asking when companies will do away with data centers and on-premises licensed applications. Don’t hold your breath. Corporations have invested trillions of dollars in existing IT infrastructure, software, processes, expertise, and their organizational structures based around the traditional on-premises hardware/datacenter and licensed software model. That legacy will be with us for decades. 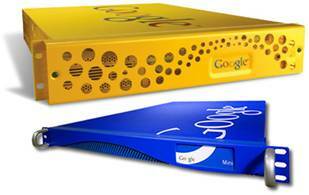 Google, whose roots are pure cloud, has many tentacles into on-premises, including hardware such as their search appliances, and various applets designed to run behind the customer’s firewall if desired. CloudSwitch is designed to help companies migrate from data center to cloud and back again, based on the needs of the business. CloudSwitch claims that customers can just point-and-click to move existing applications into the cloud without any modification. The applications are managed and integrated using the same tools and policies as they would if they still resided in the data center. CloudSwitch maintains that they answer one key concern people have—getting locked into a particular cloud service provider. Cast Iron Systems provides a platform to integrate cloud and on-premises applications. This includes cleansing and migrating data from legacy systems to their SaaS applications, integration of business processes across multiple cloud and on-premises applications, and mashups of information from cloud and legacy applications. Cast Iron itself is available in both cloud and on-premises versions. RightScale helps users design, deploy, manage, and automate applications on the cloud. It includes management dashboards and admin tools, pre-packaged templates and best practice deployments, monitoring and alerting tools, and auto-scaling, all based on a “Multi-cloud Engine” which enables multi-cloud and hybrid cloud portability. Eucalyptus Systems lets you build an EC2-compatible private cloud allowing you to move back and forth between on-premises and public (Amazon) clouds. Beyond that it offers potential portability between cloud service providers, because it is architected to accommodate other cloud APIs besides Amazon’s, using an adapter layer. Speaking of APIs, the battle over Cloud APIs and standards was another important point brought up in the MIT panel. There has been a proliferation of APIs amongst IaaS (Infrastructure-as-a-Service) vendors. Agreement on standards is not happening as quickly as hoped. This is important because proprietary APIs lock customers into a particular cloud service provider. We plan to cover this in more depth in a future issue of the brief. This article is part of our ongoing Cloud Series – our effort to bring clarity to cloud services and technologies.